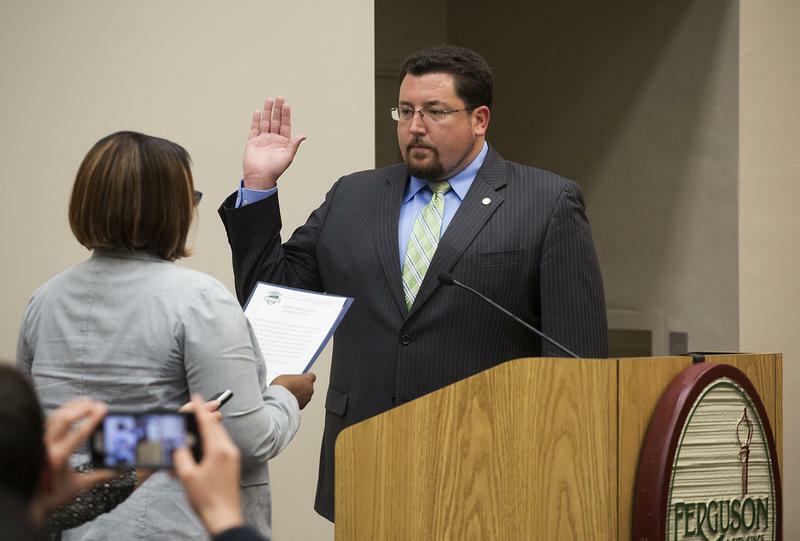 Ferguson Mayor James Knowles takes the oath of office at Ferguson City Hall Tuesday night. 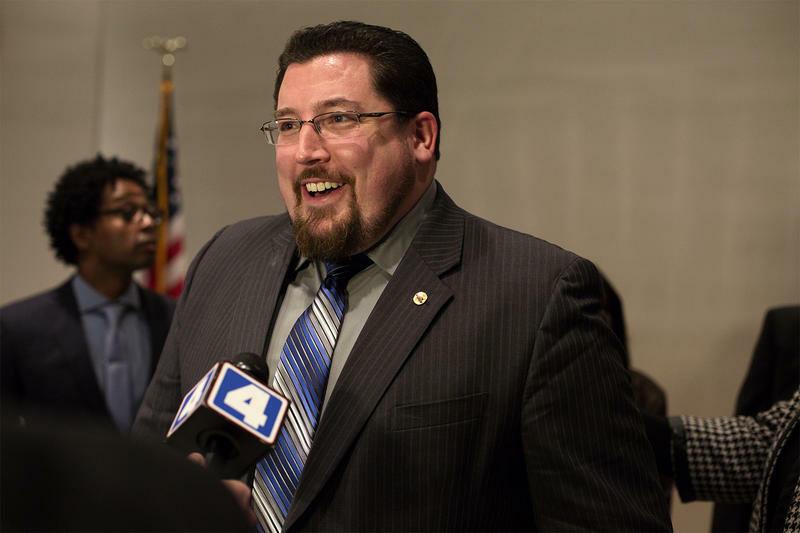 Ferguson Mayor James Knowles and Councilwoman Ella Jones made something perfectly clear Tuesday night: The city’s mayoral election is over, and there’s no schism between the two elected officials. Two weeks after Knowles beat Jones, both candidates vowed to work together over the next three years to repair the financial hardships and racial divides that were exposed in the aftermath of Michael Brown's fatal 2014 shooting. Ferguson’s mayor doesn’t have a lot of formal power, as the city manager runs the town’s day-to-day operations. But Knowles noted that the election clearly caught the interest of Ferguson residents. Eric Fey of the St. Louis County Board of Elections said that nearly 29 percent of Ferguson residents voted, which is a better turnout than either of the two other elections that Knowles won. Knowles also will have to deal with a tenuous budget situation, especially after the city collected less revenue from fines over the past couple of years. 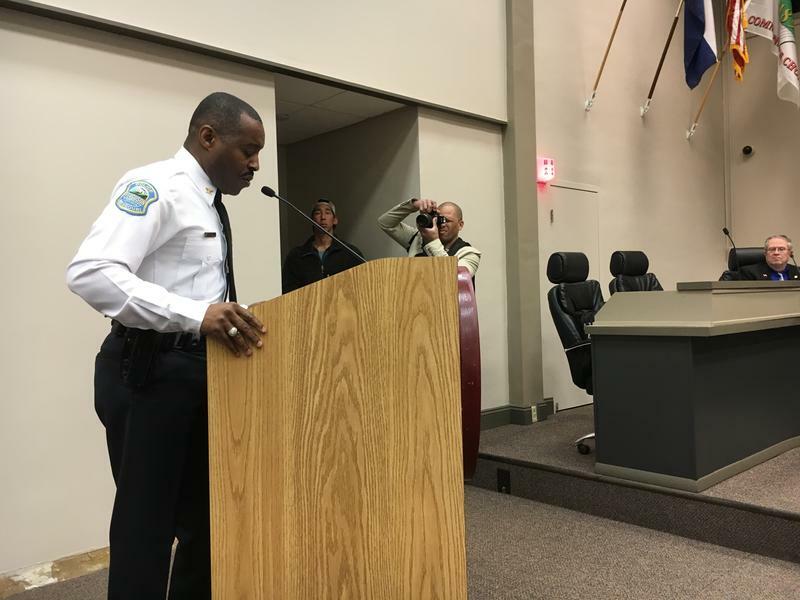 He and other city officials will have to make sure the Ferguson Police Department is fully staffed. 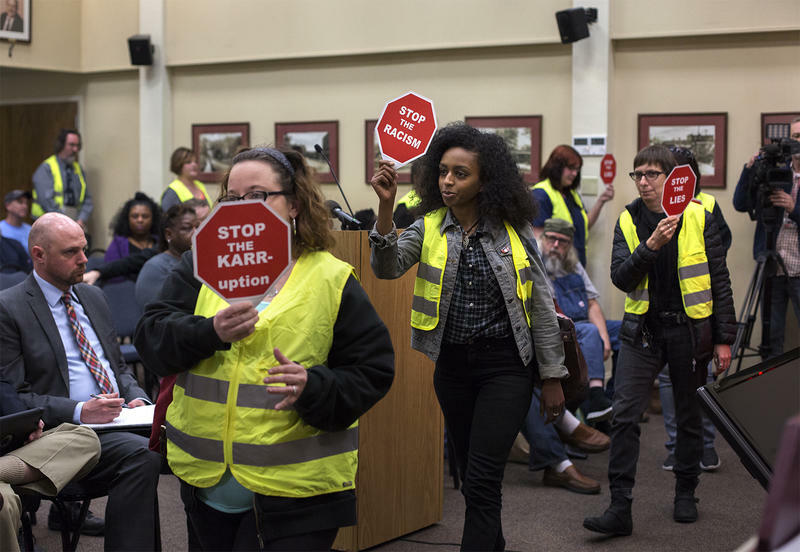 He also wants to work to develop West Florissant Avenue, a business district in a predominantly African-American part of Ferguson that was often the site of violent clashes between police and protesters. On top of all of that, there's the “reconciliation” process he'll need to attend to. 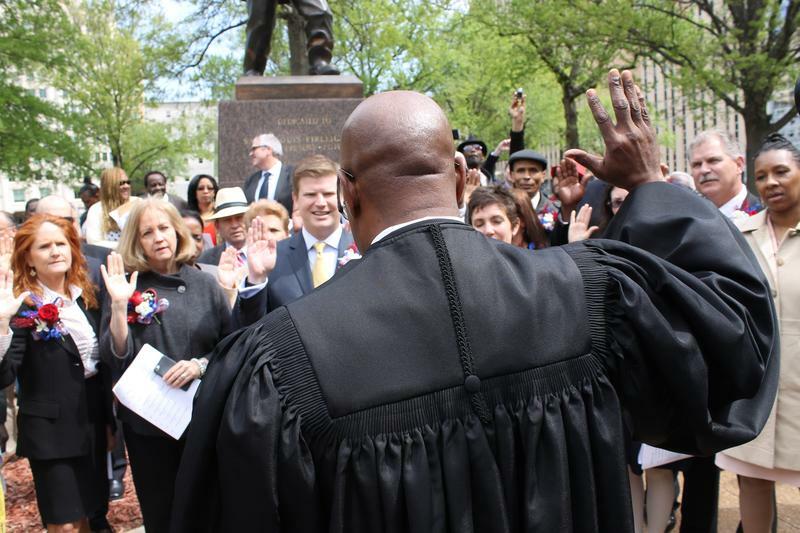 Ferguson’s city charter bars Knowles from running for another term. In an apparent vote of confidence, Ferguson Mayor James Knowles won re-election Tuesday over City Council member Ella Jones. Knowles, who has been the face of the municipality since Michael Brown’s fatal shooting in 2014 by an officer thrust it and its racial divisions into the international spotlight, barely missed having to face a recall election in 2015. He beat Jones, who would have been the city’s first African-American mayor; unofficial results show the vote was 2,133 to 1,594. On Wednesday's St. Louis on the Air we aired highlights of the Ferguson Mayoral Forum held earlier this week at the Ferguson Community Center. Incumbent Mayor James Knowles III and Councilwoman Ella Jones are on the ballot for the April 4 nonpartisan election in Ferguson and both participated. The event was sponsored by St. Louis on the Air and The Center for Social Empowerment. A seemingly understaffed, overworked Ferguson Police Department is sowing unease among the some of the municipality’s residents, though authorities say they want to make sure they’re hiring the right officers.